MOVE IN READY! Great starter home, centrally located in Port Charlotte near hospital and shopping. 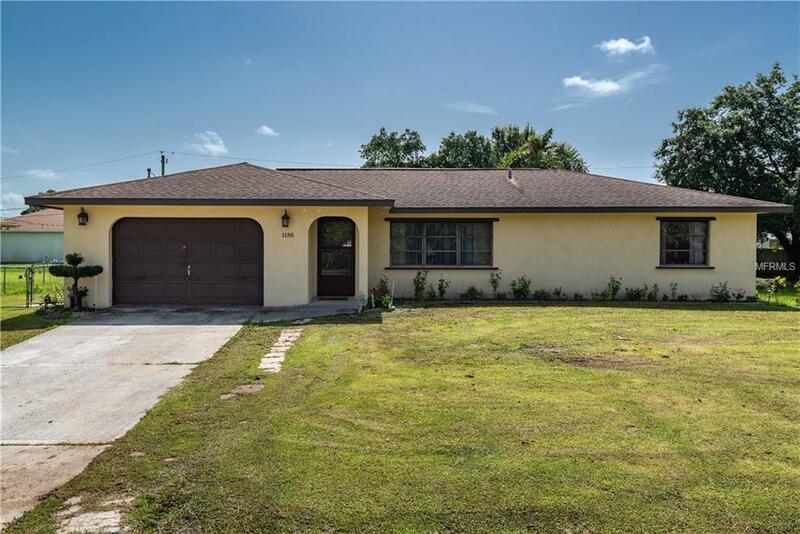 This 3 bedroom, 2 bath, 2 car garage home sits on a double lot and features split floor plan, vaulted ceilings, ceramic tile floors, walk-in closets and central a/c. Outside is a 41 x 17 concrete patio for room expansion, above ground pool and fenced in yard. Hurricane shutters included.